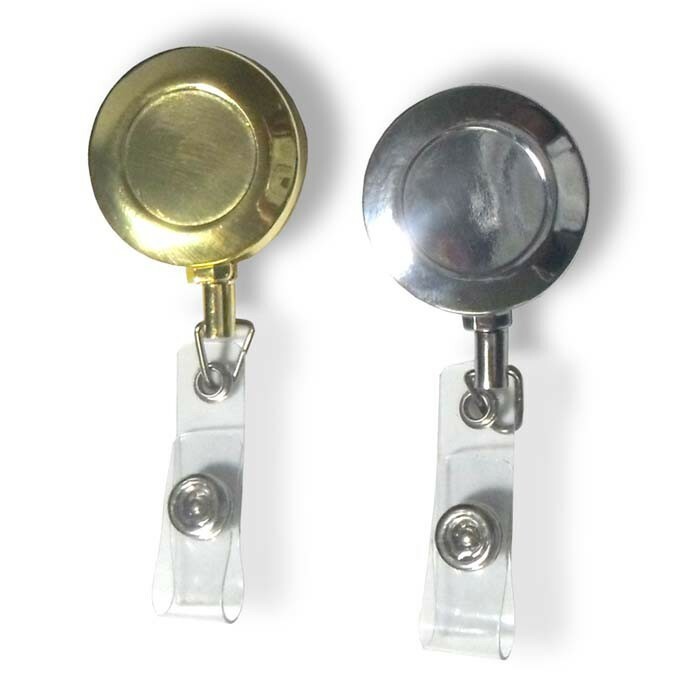 These are blank,unimprinted metallic badge reels.Heavy duty blank metallic badge reels. Available gold badge reels, or silver. 1.25 inch width, 26 inch length. These are a great quality professional item. 26" Length cord 1.25" diameter wheel with clip on back.